The Western Sydney Regional Group is running a presentation titled “Integrated Water Cycle Management – From Modelling to Delivery on Ground”, on the 25th September. If you are interested please see the full pdf flier. Tony is an Associate at BMT WBM with over 25 years’ experience in the water industry. In his current role, Tony provides expert advice, peer review, mentoring and business development support for water sensitive urban design, catchment modelling, integrated water cycle management, policy, planning and practical capacity building amongst government and industry across Australia, the UK, Europe and Asia. He has been a co-author in many water quality and WSUD guideline documents across Australia, especially those around stormwater quality modelling and integrated water cycle management. Tony has a degree in chemistry from QUT, is a Visiting Fellow at the Australian National University’s Fenner School and was awarded Fellowship of the Modelling and Simulation Society of Australia and New Zealand in 2012. 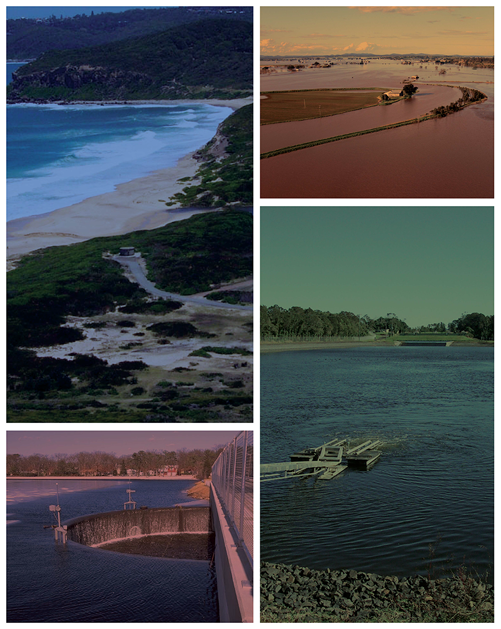 Reid is nearing 20 years in the water industry in Sydney, and during that time has been involved with numerous projects which have achieved significant water conservation, runoff quality improvements, flood mitigation and sustainable outcomes. He has been the manager of the Sydney office of BMT WBM for the past six years and before that worked in state and local government as well as a stint project managing the innovative WSUD in Sydney capacity building program.